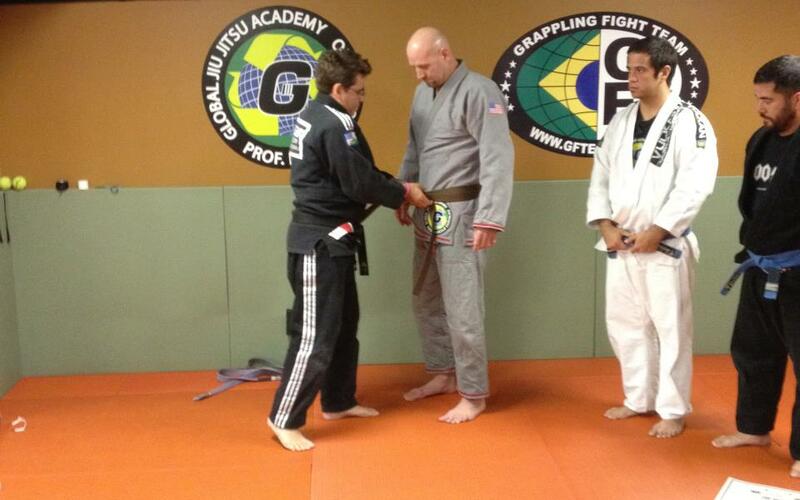 Global Jiu Jitsu Academy in Fountain Valley California belt ceremony December 10th was awesome! I was especially happy to get my brown belt from Professor Marcelo Carvalho! The academy was packed with GJJA students young and old, parents and friends. Marcelo promoted a few other people besides myself. Mike Garza, Andy Kuiland and Chris Romero were promoted to purple belt. If you think you have heard of Chris Romero before, you are probably right. He is a world champion in Karate a few times over. Chris Romero’s brother, Tony ‘the Assassin’ Romero, who is 68 by the way, was promoted to blue belt. Dana Riddle was also promoted to blue belt. Thank God because he has ben bringing the heat to everyone! The kids part of the ceremony was also alot of fun. The kids have all tried really hard and are really amazing. If you get a chance and are in so cal, come train with us!